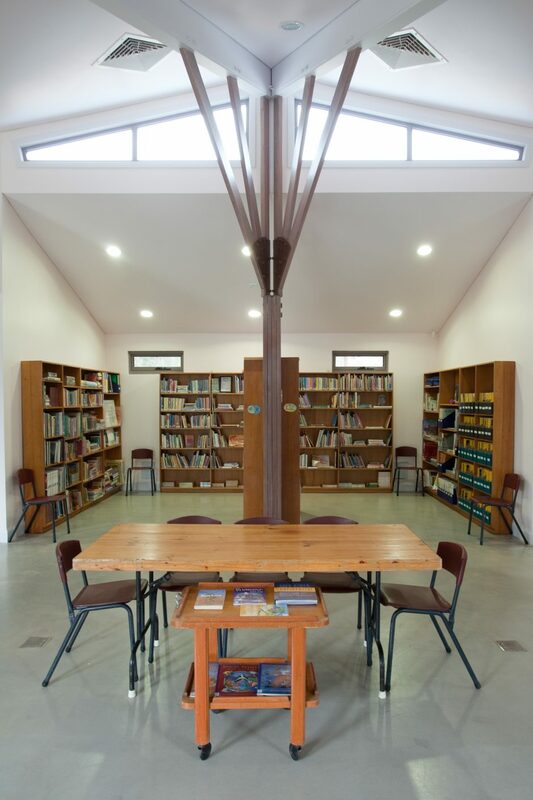 The new library, remedial room plus undercroft and toilets was built with BER funds in 2010. Siting allows views over the original farm dam and outlook through the tree canopy creates a serene ambience. 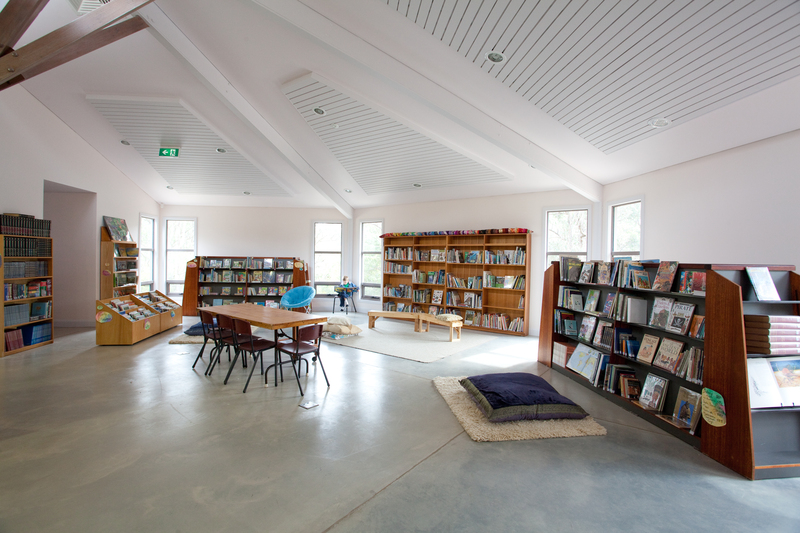 To moderate the extremes of Armidale’s climate, the building faces north, is well insulated and heat pumps are used to heat and reticulate hot water through the library floor slab. 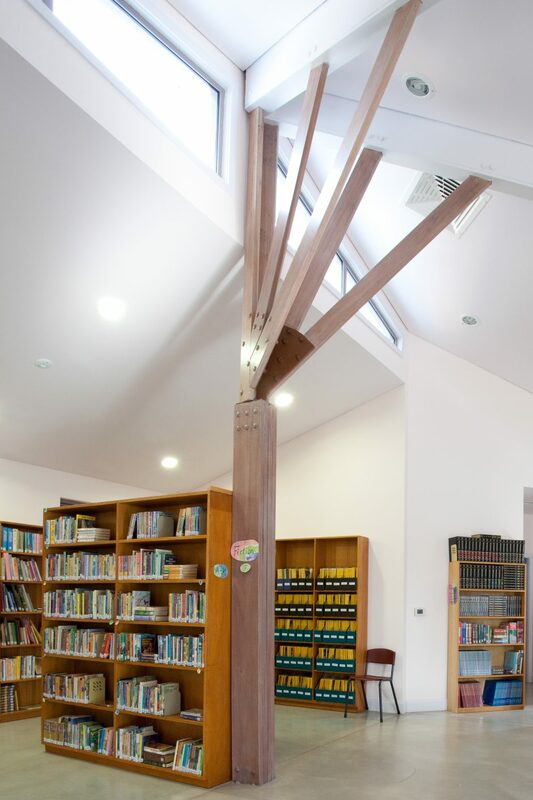 The library completes a courtyard bounded by the existing staff and administration buildings. 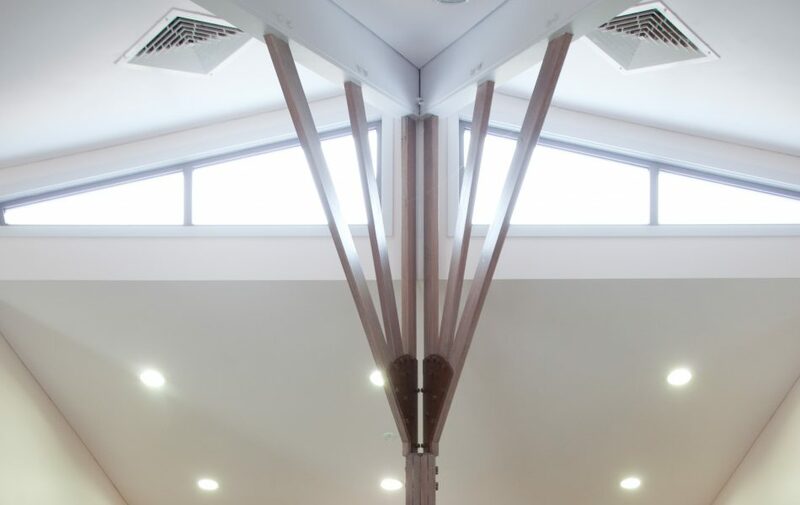 Earlier projects include the original hexagonal class 1, 2 and 3 rooms, followed by the more rectilinear class 4,5 buildings with generous north facing windows and doors behind a twisted pergola. 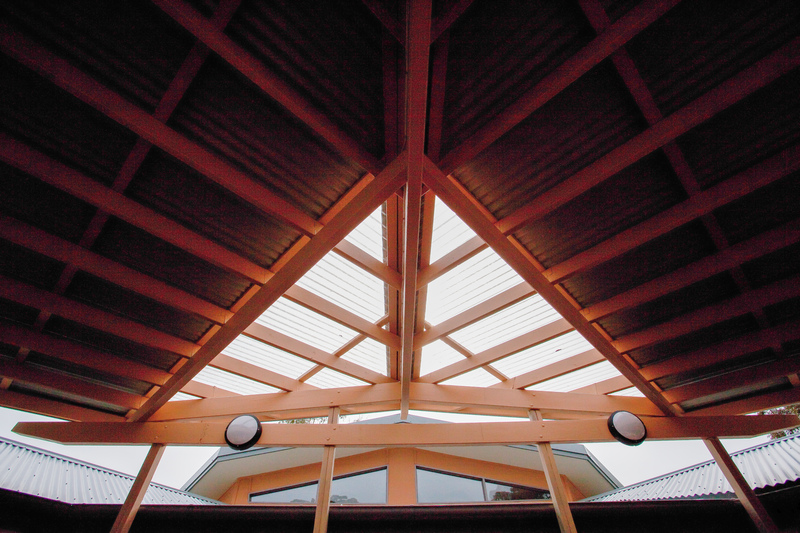 The psychological transitions of the child’s experience through the more nurturing hexagonal shapes to the more alert Class 4, 5 forms, is complemented by the colour sequence from warm reds to yellow.